In February and March, Fort Myers isn't just the center of the Twins baseball universe. It IS the Twins baseball universe. Pitchers and catchers report, followed shortly by the rest of the roster. Coaches and front office personnel, from every corner of the organization, gradually assemble. Minor-leaguers eventually show up – all of them. Every media member who covers the team in any capacity is on hand for at least a while. Even a bunch of bloggers from Twins Daily are regularly seen awkwardly stumbling about the bowels of Hammond Stadium. Spring training is almost overwhelming in its scale. For about six weeks, Lee County Sports Complex IS the Twins, making the franchise's supposed hometown of Minneapolis feel further even than its considerable geographic distance. But by the time Opening Day arrives, it all changes. Players, coaches, and execs pack up and ship out. The complex goes from hosting a half-dozen teams to one – the Single-A Fort Myers Miracle, along with a smattering of young kids and extended spring assignees. Usually, focus shifts to Minnesota for the balance of the year. But this ain't your usual season. And as the All Star break concludes, Twins fans are finding far more reason to stay rigidly tuned into the happenings in Fort Myers than to closely follow the big-league club. By wrapping up the first half with a 9-2 home stand, Minnesota undid the damage of a disastrous 1-8 road trip, but this only returned them to their lackluster watermark: six games below .500 and trailing Cleveland by more than a touchdown in the standings. While this recent run has done enough to give the front office pause about unloading everything at the deadline, hope remains a tough sell in the Twin Cities. Less so in Southwest Florida. The Miracle roster currently boasts the top three Twins prospects: teenage phenom Royce Lewis, jaw-dropping hitter Alex Kirilloff, and flamethrowing righty Brusdar Graterol. In the newly updated Baseball America Top 100 rankings, those three rank 10th, 37th, and 61st respectively. It's worth scrolling straight to the "Miracle Matters" section of our minor-league reports each day just to see how this trio performed, and they rarely seem to disappoint. On Wednesday night Kirilloff notched four hits, lifting his average to .323. He has 75 RBIs in 89 games this year between two levels. Lewis, the second-youngest hitter to take an at-bat in the Florida State League, is batting .400 through five games there. And while Graterol hasn't fared well in his first three starts with the Miracle, he is one of only three teenage pitchers in the FSL. His ability is obvious to anyone in range. Baseball America exclaims that he "has the highest ceiling of any Twins pitching prospect, projecting rotation-topping potential." These three players equip Minnesota with a more promising future pipeline than almost any other team can tout, but that "future" part is the sticking point. Twins fans have been looking ahead for eight years. Lewis, Kirilloff and Graterol are all extremely young by Single-A standards, which says a lot about realistic MLB timelines. All of which brings us to this point: the most important player in Fort Myers, at present, is not either of those three. It's the 25-year-old Miguel Sano – almost exactly one year removed from an All-Star appearance – who commands our attention most. 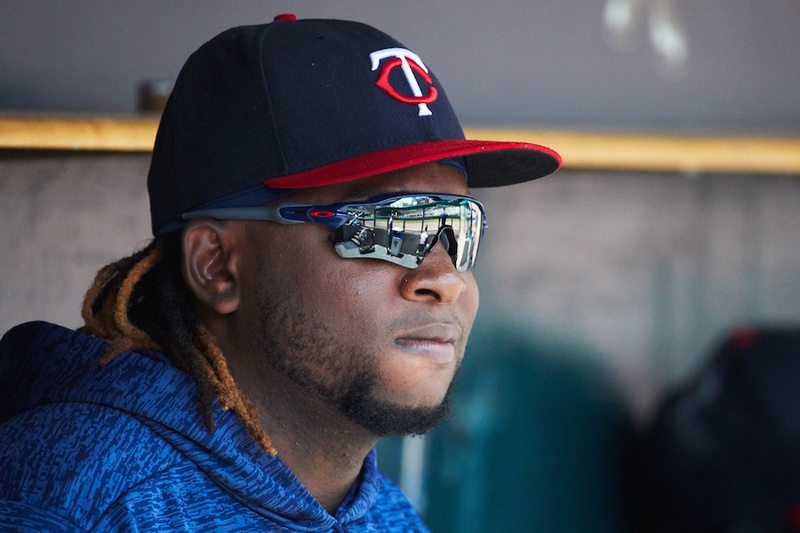 If the Twins are going to pull off a highly improbable return to contention in the final stretch of the season, it stands to reason they're going to need Sano, back in star form and powering their lineup. But even beyond that, we all need this. Before fans at large will buy into this next wave of shiny prospects, and the hope they represent, they're gonna need to see what a finished product looks like, rather than another what-if story. Sano ranked as a top 15 prospect in the game three straight years (per BA) before graduating in 2015. He was the epitome of a franchise cornerstone before veering toward the path of a cautionary tale. The good news is he's still young, and under team control for several years. The book is not closed on Sano and the Twins by any means. But it is anyone's guess where the story goes from here. We're all watching it play out, from afar, as he taxis on the Single-A runway and watches the organization's top prospects take off. Hopefully, soon, Sano will give us one less reason to pay careful attention to Fort Myers, FL. He's hitting .328/.442/.453 in 19 games, albeit against vastly inferior competition. If Sano doesn't get bumped up soon, with a quick adaptation to the next level, then Twins fans might need to reset expectations in line with the ETAs of those emerging top prospects. I can't blame you if it's a struggle. Fort Myers is so far away, in every sense. I have really enjoyed box watching with our most recent draft picks.Something I have not done in the past.These new guys sound really good, but to the writers point there is still a long way to go.I had high expectations with Buxton and Sano, certainly those will be in check with the new guys. On the other hand, it seems we have good talent but it does not play through to the big leagues often enough for my tastes.Is it part of the Twins development culture.It seemed to me that Buxton and Sano were ordained well before they got to the big leagues. Yes, it seems like numerous promising prospects end up at the AAAA level. A picture of Sano but nothing in the article about Sano? ...it seems we have good talent but it does not play through to the big leagues often enough for my tastes.Is it part of the Twins development culture.It seemed to me that Buxton and Sano were ordained well before they got to the big leagues. It didn't appear that it was handed to them. Both had minor league track records that were superior to Rosario, and Sano had a Sep call-up that gave him the inside track the following year. I'm not sure what happened, but putting high expectations on them fairly early seemed rational to me. Of course, Sano has been on the Temporary Inactive List for about 4-5 days. Hes in the Dominican due to a "Family Situation. Hopefully nothing too serious and he can get back soon. Do you get the sense they'll move Sano up the minor leagues like a rehab assignment? I assumed this demotion less about getting his swing back, and more about intervening his life to make better food and exercise choices. My guess is that once he's' reached the goals that he and the team have for him (*), they'll move him up to AA, or to AAA for some games. * weight loss, strength in that leg, plate approach and discipline, mechanics, etc. - At what date do the Twins gain another year of control over Sano? - How many options remain on Sano after 2018 ( in case of need for 2-yr. "fix")? - How much does Sano currently weigh? - Who is working with Sano on his plate approach and dietary habits? - With Mauer's and Morrison's (and Escobar's) contracts expiring, is there any hint from management on what position is envisioned for Sano in 2019? - Bremer mentioned that it is anticipated that Sano might soon move up to AAA, is there a time frame and/or set of criteria set by management in which this scenario would take place? I agree that WOULD be more informative, but you need to take into account the beat writers haven't been able to gleam that information from the team.Nick's article isn't meant to give the timelines, etc.It is laying out scenarios and helping to us to know what to look for and what is happening in Fort Myers, with Sano being the biggest story (figuratively and literally) down there. As for the date that would affect team control years.... I believe it was just before they sent him down. So, there is no date the rest of this year that would affect that at all. That's not what i mean. How's he doing so far, etc., is what i'm getting at. 19 G, .328/.442/.453 (.895) with 2 doubles, 2 homers... 13 BB, 21 K. (64 AB, probably about 76-78 PA). But yeah, he's been in the DR for several days now, so not sure where he's at right now. The Twins are on record saying that Sano will go to a higher level when he reaches his goals, on three levels:hitting, fielding, and conditioning. He is (before his family leave) on a 3 day rotation:1 day he plays at third base, the next he DHs, and the third he is doing conditioning drills. HIs total slash line is fairly irrelevant because he is trying different things, like hitting the ball to all fields. This is extended Spring Training for him.He bought in and working hard according to all reports.He is even warming up pitchers when he is DHing. Situation not that different than Santana's IMHO.They were both recovering from injuries/surgery last off-season and did not have time to get in shape.The Twins would have done Sano a favor if they kept him in EST till he was ready.On the other hand, I wonder how much the proven false accusation circus led them to the decision to keep him with the team as one of the "family". Is anyone for the idea of trading Sano in the offseason? Of course after he shows he’s a 100% again. Cuz if we’re really sellers we gotta at least consider moving him, because I know a healthy Sano could net a large return. Maybe Sano for the Card’s Jordan Hicks, Andrew Knizner, and Junior Fernandez? Nick mentions in the article "The complex goes from hosting a half-dozen teams to one – the Single-A Fort Myers Miracle, along with a smattering of young kids and extended spring assignees.". Where do the GCL Twins play? Not in Hammond Stadium but a back field somewhere? Is there one back field that's a cut above all the other practice fields? In a back field.They play at the field used by the AAA team during ST.This season is a brand new field with brand new technology that was Bill Smith's last accomplishment with the Twins and was named after him.It is right next door to the academy building where most of the GCL players live. Don't get me wrong, I much appreciate the topic being brought up, it's just that the article is highly incomplete as it invites more questions than it tells us in "what is happening in Ft Myers." Certainly, phone inquiries can be made to the local radio broadcaster, fans in the know, "inside sources", etc., to give the article more granularity. This is what I'm talking about... Items like this are helpful, picking Miller's brain about the situation with Sano and the Golden Trio, perhaps off the record, seems like a good source of inside scuttlebutt. Figured it had to be something like that but I didn't know for sure. "We were open for business on several players, but just couldn't put a deal together that we liked...our biggest pickups will really be the return of All-Stars Sano and Santana as well as the Platinum Defensive player of the year in Buxton...adding those three to our lineup in the second half without mortgaging any future assets is really the best of both worlds"